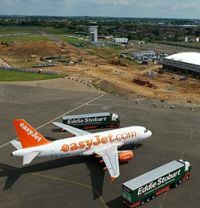 EasyJet has announced its short summer 2014 schedule of flights between Newquay and Southend, with plans to increase flight frequency from three flights a week to four, but has ruled out adding a year-round Gatwick operation. 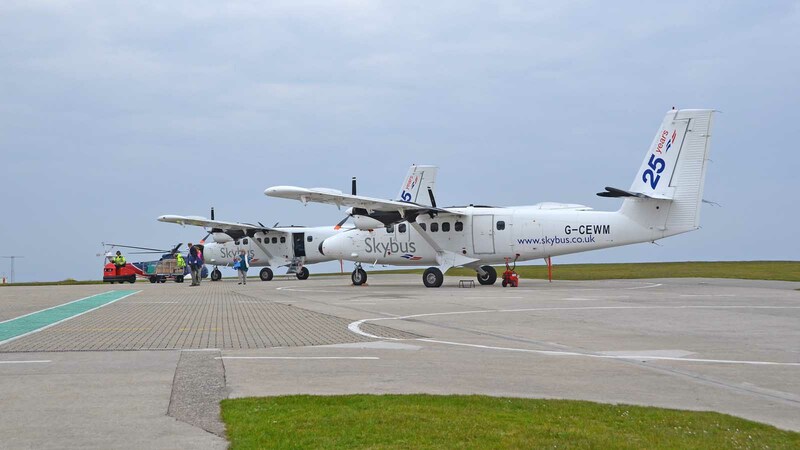 This means that England’s South West will be totally reliant on surface connections from next April although BTN understands that very convincing plans for new air services are being considered by serious backers which could also prove a lifeline for the closed Plymouth Airport. A recent survey, by independent market research company BDRC, has found that one of the most important factors for business travellers when choosing a hotel is whether complimentary wi-fi is available in both bedrooms and public areas. The rules on when to turn off electronic devices on aeroplanes have long been a sour, and sometimes contentious, point for travellers. Different airlines, different rules; different countries, different rules. All on the same route. 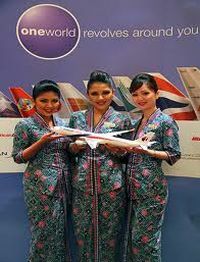 Increase in capacity is the name of the game as far as Malaysia Airlines is concerned. Monarch, which calls itself the leading scheduled leisure airline, has announced an expansion of its route network for summer 2014. A number of new destinations will operate for the first time, while some existing points will be served from more airports. 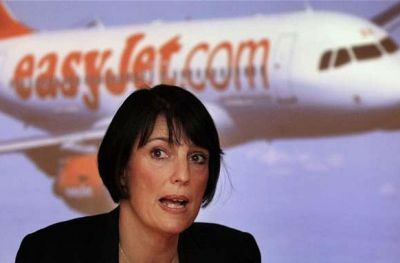 Carolyn McCall has been Chief Executive of easyJet since July 2010 and quickly established herself as a real team leader heading what is now Britain's largest airline. Many would say the introduction of reserved seats is her greatest legacy to date but expected profits for the year until 30 September of around £470m and the current share price of £13, as against £4.18 when she joined, is a testament to her success. 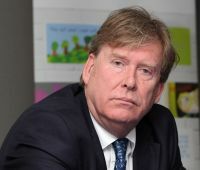 The affable Simon Burns (Conservative), Minister of State for Transport in the coalition government, has resigned. He intends to run for the post of Deputy Speaker at the House of Commons, the previous incumbent Nigel Evans standing down to fight sexual assault charges. Mr Burns has in the past called the present Speaker John Bercow a “stupid sanctimonious dwarf". Applications for the EIBTM (European Incentive and Business Travel and Meetings Exhibition) Hosted Buyer Programme are now being accepted for the 2013 event which once again takes place at Barcelona’s impressive Gran Via Fira centre (19-21 November). 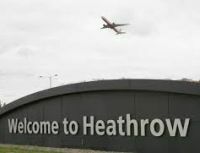 Britain's Civil Aviation Authority (CAA) is recommending capping the prices charged by Heathrow to its airline clients, drawing a furious response from the country's busiest airport which warned of a long-term hit to investment. They will not rise more than inflation. The Ritz Hotel London Piccadilly was the venue for a joint presentation between Eva Air and Shanghai Tourism. China’s commercial centre has always been a major attraction for both leisure and business travellers from the UK. Eva Air is promoting ‘One Trip Taiwan Shanghai but has very much Bangkok in focus, enjoying fifth freedom facilities and the ability to sell Heathrow – Bangkok only. 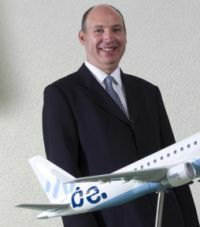 With a completely new management team in place under former easyJet Chief Commercial Officer Saad Hammad, Flybe is looking positive. Whilst the listed airline is not expected to unveil its detailed plans until the release of second half year figures on 11 November it has announced a new four times a week service to Knock from Birmingham starting 27 October. Work is progressing fast to complete a major update of the Gatwick Airport South Terminal airside retail area in time for the holiday season rush at the end of the year. Also open by that time are new hotels. The Isles of Scilly Steamship company is advertising for a new Chief Executive based at Penzance. It is the ‘lifeline’ operation to the islands and operates both the shipping and air links (Skybus) from the mainland. At one time Skybus had competition from both helicopter (British International – and before that BA/BEA) and Brymon Airways, but with the cessation of the rotary route in 2012 it is now has exclusivity. The airline flies all the year round from Exeter Land's End and Newquay with Twin Otter and Islander aircraft. Alison Chambers has been off on her travels again, this time to the musical city of Salzburg, famous for Richard Rogers (who probably never visited the city) and Wolfgang Amadeus Mozart, born within the precincts. 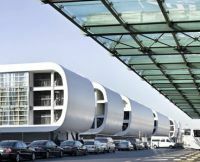 The European Regions Airline Association (ERA) held its annual General Assembly in the pretty Alpine city of Salzburg last week. 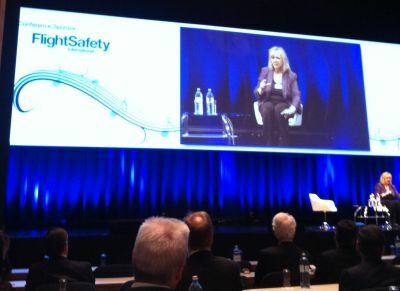 The high point of the event, alongside the extraordinary sunshine (winter officially begins on 1 October) was a presentation by guest speaker Doreen Welsh, senior flight attendant on US Airways Flight 1549, reliving the Miracle on the Hudson. The low point was the actual travel to the event. 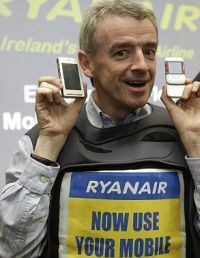 For many travelling from the UK (media especially eschewing the high British Airways’ fare) it involved an overnight at a Stansted airport hotel for the 07:15 Ryanair departure. European delegates came via LCCs too, or took the train. 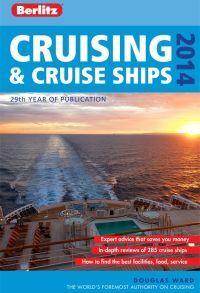 Out now is the Berlitz Cruise Guide 2013, literally the bible of cruising listing and rating 285 seagoing ships. The figures you see below in brackets are Editor Douglas Ward’s evaluation, with which we cannot argue. £17.99 in both paperback and e-book. Last year we criticised the book in that it was felt that the type size for the ratings were too small. That has now been improved, slightly, but the specifications for each ship is printed in five point and not easy to read. Now we have made it. 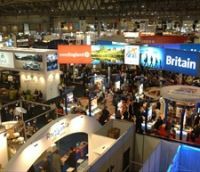 The September International French Travel Market (IFTM) in Paris was once again chosen by Air France to unveil its new products, this time around Premium Economy and Economy. Both are actually to be introduced in summer 2014. The changes are not dramatic. 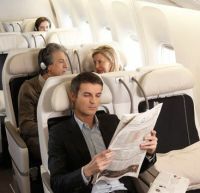 With Premium Economy, the same seat design that was introduced in 2009 is retained. The in-flight entertainment system will be revamped with new wide high definition touch screen and a much greater variety of film selection. There is a more comfortable seat cushion with and a multi-position footrest. Since last month Air France has offered to include a second hot dish, candies and ice-cream. OAG’s latest airline capacity data for October shows that airlines worldwide are expected to operate 2% more flights than last October, and 5% more seats. 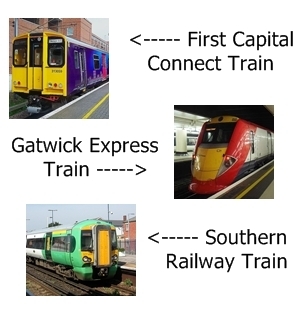 Carriers will offer 360m seats this October which represents an increase of 16.4m compared to last year. To coincide with World Routes, which starts today (7 October) in Las Vegas, for its October market review OAG has examined the trends and evolving structure of the US market. Trident Hotels, part of The Oberoi Group, has just opened its latest hotel The Trident, Hyderabad, in the metropolis (population 5.5m) known historically as ‘The City of Pearls’ but now regarded as one of India’s ‘hitec’ cities. North of London, Luton is fast becoming the favourite airport for airlines based in Eastern Europe with Wizz serving 25 destinations. Thursday 19 December will see the launch of a twice weekly service by Romanian airline Carpatair to Chisinau, the capital city of the Republic of Moldova. 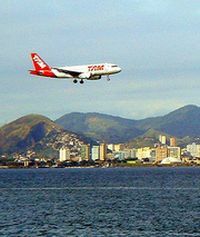 A 148-seat Boeing 737-300 will service the route. By the end of the year Gatwick will probably be the best ‘hoteled’ airport in the UK, if not the world with five hotels actually on the site, all within walking distance of the secure area (airside). 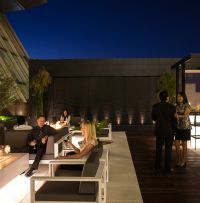 It already has the 828-room Hilton on the other side of the railway line to the Main Terminal, and adjacent to the North Terminal, the Sofitel (518 rooms) and Premier Inn (630 rooms). It is going to be a busy month for oneworld. With the ‘online’ facility to check in becoming more and more popular Wizz Air, the Geneva-based Eastern European low-cost carrier, has come up with a facility to cancel. With often 48 hours allowed, things can change for a variety of reasons. Even moving the actual seat can cost with some airlines.